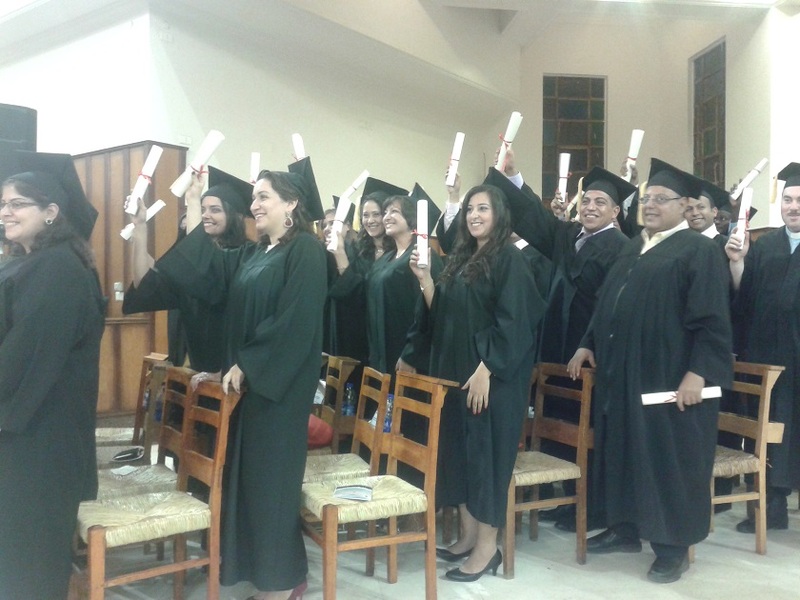 Ten years after its founding, the Anglican Alexandria School of Theology (AST) celebrated its first graduating class to receive the degree of Masters of Arts in Theology. The four students joined the July 18th commencement exercises with 27 others who received a Bachelors in Theology, plus one who completed a two-year diploma program. Rev. Samy Fawzy, principal of AST, congratulated the graduates for their efforts over the past four years, despite the difficulties Egypt has experienced. Rev. 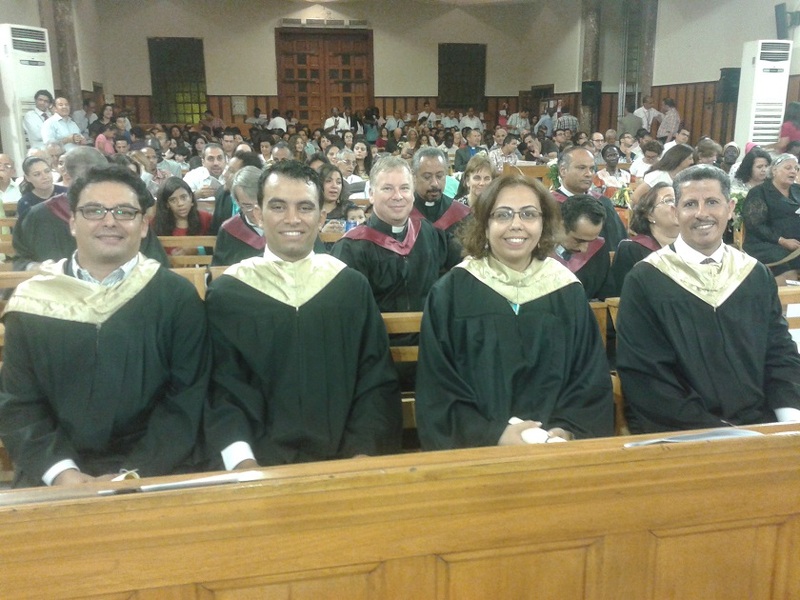 Atif Mehany, dean of the Evangelical Theological Seminary in Cairo, urged them further in his commencement address to overcome the challenges following the Arab Spring and fulfill their responsibilities to serve both church and society. Rev. Fawzy conferred the degrees with Bishop Grant LeMarqand, vice-chairman of the board of AST, and Rev. Mouneer Hanna Anis, chairman of the board of AST, bishop of Egypt, North Africa, and the Horn of Africa, and president bishop of Jerusalem and the Middle East. They were joined by Bishop Peter Tasker, representing the archbishop of Sydney and AST partner institution Moore College in Australia. Class representative Philip Bishay offered thanks to the staff and professors of AST on behalf of a diverse body of many denominations, who through dialogue and unity completed each other, he said. He encouraged all in attendance to let the light of God fill their hearts, which will then shine no matter the darkness around them. This article was first published at the Anglican Diocese webpage. « The Real Threat to Sisi: His Own Inept House?